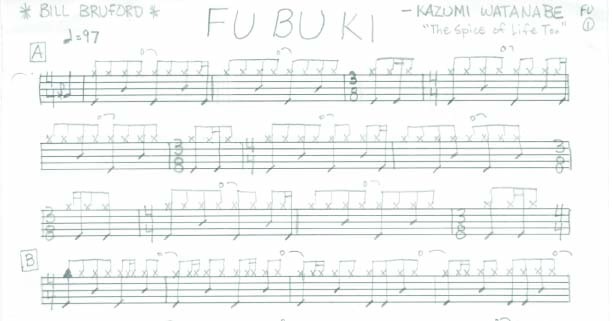 FU BU KI From Kazumi Watanabe’s album SPICE OF LIFE TOO, Bill Bruford delivers a tight performance on this track which shifts through different time signatures and figures. It’s solid, and a great track to practice playing in shifting meters with. Right click on the image or link below to save the 4 page pdf file.